Former Newcastle United and England defender, Sol Campbell, has today announced that he will stand for election as London Mayor in 2016. 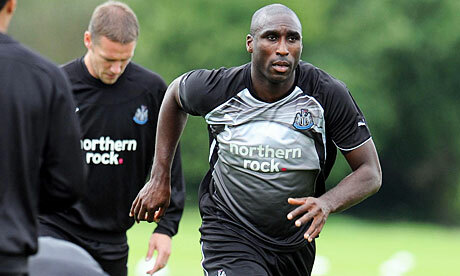 Campbell, who officially retired from football in 2012 having been released by Newcastle, will appear at a hustings with the rest of the Conservative party’s candidates on 4 July after revealing his intention to stand over the weekend. Betting company, Paddy Power, have slapped 66/1 odds on the former footballer becoming mayor, ahead of the likes of Tony Blair, Ed Miliband and Nigel Farage. “I bring something new to the table. This is a whole new road for me, something I can get my teeth into but I just felt it was something I had to do. Campbell joined the Conservative party last year after criticising Labour’s proposed introduction of mansion tax. The former Tottenham and Arsenal defender had been in the frame to stand in the general election to replace the retiring Sir Malcolm Rifkind in Kensington before the deputy mayor Lady Victoria Borwick was chosen instead. Campbell has never been one to shy away from media attention. In 2001, he was vilified by Spurs fans after walking out to join fierce rivals Arsenal, while in 2006, the powerful centre half famously walked out of Highbury at half-time after being subbed off at half time against West Ham. Whether he’ll be able to deal with the strains of politics remains to be seen. But until then, let us look back on one of our fonder memories of the evergreen centre-half.